In our experience, people who exercise in a group, have fun, lose weight and are more likely to exercise more often. Join us at one of our weekend boot camps. It will be fun and challenging all at the same time. Let us help you become a better version of you for the New Year. Join us at one of our classes. Monday thru Friday 6AM & 8AM and 6PM. Classes are 60 minutes.​ Pay online now or on arrival. Besure to contact us prior to you training session for more information. 1SoFIT is a personal training company who provide strength and conditioning programs for men and women of all shapes and sizes. Our fitness programs are, by design, broad, general and inclusive. At 1SoFIT, the focus is always on you and your goals. 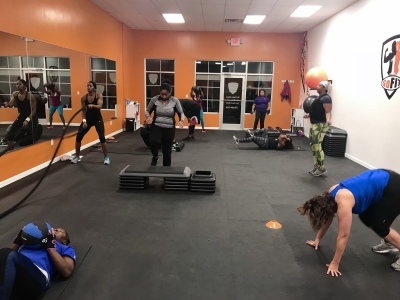 We take the time to assess your current fitness level and match that with a program to improve your fitness level and make you goals achievable. 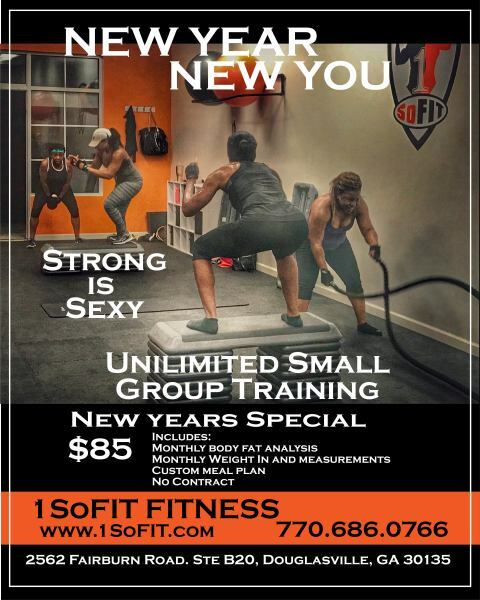 1SoFit highly experienced and certified staff will be there to help you achieve your fitness goal and be your accountability partner along the way.